Glenmark’s current innovation pipeline consists of 8 assets, including new chemical entities (NCEs) and new biological entities (NBEs), in various stages of development in the areas of immunology, oncology and pain management. Glenmark Pharmaceuticals Ltd, a research‐led integrated global pharmaceutical company, announced that its Board of Directors has given an in‐principle approval to spin-off the innovation business into a new company in US. Setting up of the new company will provide an enhanced focus to the innovation business and help accelerate the pipeline towards commercialization. 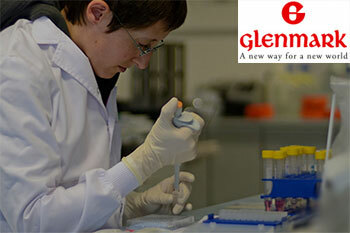 The new innovation company will be a wholly‐owned subsidiary of Glenmark and will be based in the US. It will have an independent board and a new Chief Executive Officer. The other members of the management and the team remain unchanged. According to the plan, all innovative molecules in the pipeline, including preclinical assets and technology; the R&D centres in Switzerland, R&D centre at Paramus in the US and R&D centre at Navi Mumbai, India related to the innovation business, and the biologics manufacturing facility in Switzerland along with all employees associated with innovative R&D will be part of the new company. The new company will have over 400 employees as part of this business. The specialty and generics business will continue to be housed in the parent company and will not be part of this new company. The transfer of the assets and employees to the new innovation company is expected to be completed in the next 6 to 9 months. Glenmark’s current innovation pipeline consists of 8 assets, including new chemical entities (NCEs) and new biological entities (NBEs), in various stages of development in the areas of immunology, oncology and pain management. The pipeline includes 3 immuno‐oncology bispecific antibodies platform to enhance the pipeline. Of the 5 clinical and 3 pre‐clinical assets in development, 2 clinical assets are currently in Phase 2b, and 1 asset is likely to enter Phase 2b in FY20. The new innovation company will operate in an environment of cutting edge technology, biotech research and attract best in class talent to complement developed through Glenmark’s proprietary BEAT platform. The new company will further leverage the BEAT existing capabilities, which will help provide further impetus to the innovation business. “Glenmark has built strong capabilities in the area of innovation in terms of world class infrastructure, talent pool, and technology. We currently have a pipeline of 8 NMEs most of which are first‐in‐class globally. The cutting edge work that the innovation team has delivered over the years has resulted in numerous achievements most notably among them being the fact that we have out‐licensed our novel molecules to big pharmaceutical organizations consistently. With the pipeline at an advanced stage, we believe it’s the right time for the innovation business to be an independent entity and charter its own journey towards becoming a leading biotech organization globally. This change will provide enhanced focus to the business, a better operating ecosystem and additional opportunities to unlock value for the parent company in future," said Glenn Saldanha, Chairman and Managing Director of Glenmark Pharmaceuticals. The pharma company on Thursday has reported an 11.07% rise in consolidated net profit to Rs116.34cr for the December 2018 quarter, mainly on account of robust sales in India, the US and Europe.